Mutual funds are a popular investment vehicle for investors. For investors with limited knowledge, time or money, mutual funds can provide simplicity and other benefits such as diversification, divisibility and liquidity. Mutual Funds are a great investment option for people who wish to grow their money over a period of time. Whether investors are looking for capital gains or seeking regular income, they can choose to invest in a wide range of mutual funds. An SIP is a planned approach towards investments and helps you inculcate the habit of saving and building wealth for the future. In this article, we are highlighting the fact that investing in small-cap funds has a comparatively higher risk factor but when coupled with an SIP, the risk is spread out throughout the time frame and an appreciable return is observed. This is a Small Cap Equity Oriented Mutual Fund launched in April 03, 2008. It is a fund with high risk and have given a return of 22.74 % since its launch. The scheme is ranked No. 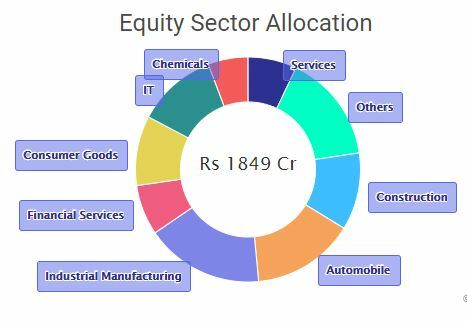 1 in Diversified Equity category by Crisil (for the quarter Dec 2017). The rank remained unchanged from last quarter. If you are already invested in this scheme, you may continue to stay invested. 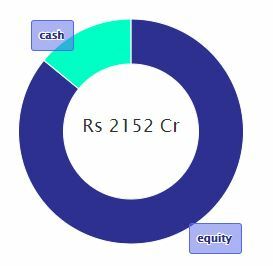 HDFC Small Cap Fund 4.94% 25.20% 23.76% p.a. S&P BSE SMALL CAP -4.56% 17.00% 15.50% p.a. +This fund has been rated as a 5-star fund by Groww. +AUM of close to ₹ 2152 Cr. +Age is nearly 10 years. So its performance can be easily judged. +Has consistently outperformed its benchmark Nifty Free Float Small cap 100 since its launch. Minimum SIP = ₹ 500Equity share = 85.9 % , Debt share = 0 % and Cash = 14.1%. This is a Small Cap Equity Oriented Mutual Fund launched on May 12, 2014. It is a fund with high risk and has given a return of 28.10 % since its launch. L&T Emerging Businesses Fund 0.14% 16.24% 24.40% p.a. +This fund has been rated as a 5 star fund by Groww. +AUM of close to ₹ 4286 Cr. +Age is nearly 3 years. So its performance can be difficult to judge on a longer run. Though its a relatively new fund, it has made its mark with high return on investment. +The top portfolio holdings of the fund include Sobha Ltd, CBLO(CCIL), HEG Ltd, and The Ramco Cements Ltd. This fund has exponential growth potential and has given high returns on investment. It is best suited for investors with a high-risk appetite or for seasoned investors. This is a new fund and has performed really well, giving more than expected return in last 3 years. Invest in L&T Emerging Businesses Fund Now. This is a Small Cap Equity Oriented Mutual Fund launched on September 16, 2010. It is a fund with high risk and has given a return of 30.51 % since its launch. 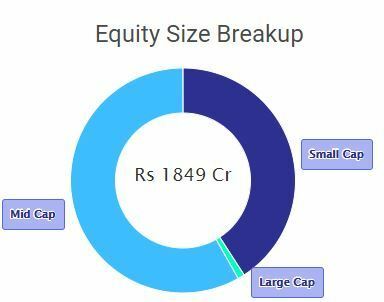 Reliance Small Cap Fund 18.96% 23.00% p.a. 36.91% p.a. This fund has been rated as a 5-star fund by Groww. +Reliance Mutual Fund started their mutual fund on 30/06/1995 and its managing total assets of ₹2,32,169 Cr. Its ranked at 3 as per total assets at end of 30th Sep 2017. +AUM of close to ₹ 6613 Cr. +Age is nearly 7 years. So its performance can be easily judged. +The top portfolio holdings of the fund include HDB Financial Services Ltd (112D),Tata Capital Financial Services Ltd, (164D),Magma Fincorp Ltd,Greenply Inds Ltd ,etc. Invest in Reliance Small Cap Mutual Fund Now. This is a Small Cap Equity Oriented Mutual Fund launched in February 15, 2005. It is a fund with high risk and has given a return of 22.17% since its launch. +This fund has been rated as a 4 star fund by Groww. +AUM of close to ₹1461 Cr. +Age is nearly 7 years. So its performance can be easily judged.Has consistently outperformed its benchmark S&P BSE Small Cap since its launch. +The top portfolio holdings of the fund include Navin Fluorine International Ltd,Rane Holdings Ltd, J K Cement Ltd., V-Guard Industries Ltd, DCB Bank Ltd, NRB Bearings Ltd. etc. Sundaram Small Cap Fund 1.33% 13.31% p.a. 27.69% p.a. S&P BSE SMALL CAP 17.00% 15.50% p.a. 23.46% p.a. Equity share = 98.7% , Debt share = 0% and Cash = 1.3%. Large Cap share= 0% , Mid Cap share = 60.3% and Small Cap share = 39.7%. Invest in Sundaram Small Cap Fund Now. This is a Small Cap Equity Oriented Mutual Fund launched in September 09, 2009. It is a fund with high risk and have given a return of 32.72% since its launch. SBI Small Cap Fund -7.85% 25.47% 24.27% p.a. +AUM of close to ₹ 943 Cr. +Age is nearly 8 years. So its performance can be easily judged. +Has consistently outperformed its benchmark S&P BSE Small Cap since its launch. +The top portfolio holdings of the fund include Westlife Development Ltd, Kirloskar Oil Engines Ltd, LT Foods Ltd, Tamil Nadu Newsprint & Papers Ltd, Hawkins Cooker Ltd,Techno Electric & Engineering Co. Ltd etc. Invest in SBI Small Cap Fund Now . Don’t blindly invest in the fund with the highest returns, Invest based on the duration you want to invest for. Every person’s financial condition is different. Evaluate the funds you invest in yourself , don’t invest in a fund because of its popularity. Review your investment from time to time but not too often. Once a few weeks is good enough. keep these tricks in mind while investing. Now that you know how SIP in small-cap mutual funds can fetch high returns for you in the long term start investing today at Groww.in. 0 Comments on "Why Investing in Small Cap Mutual Funds Through SIP is Right for You"